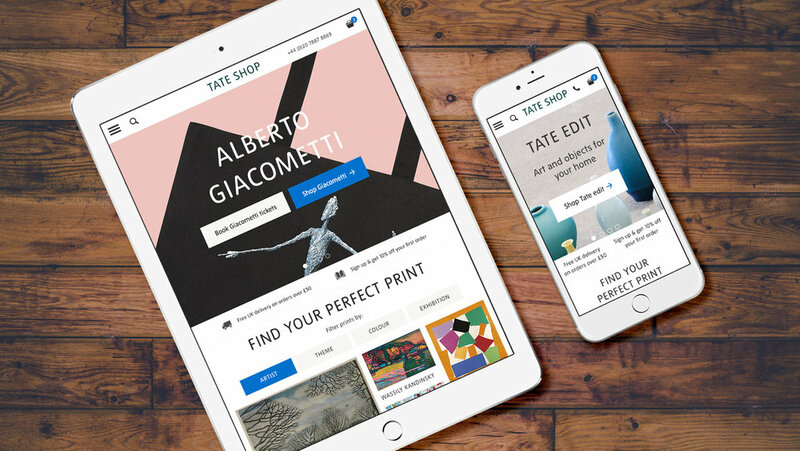 Full UX, replatform and consolidation of Tate’s ticketing, membership and shop onto Salesforce Commerce Cloud. Customer service enquiries also fell significantly. Tate have four major galleries situated across the UK, housing around 70,000 artworks including a national collection of British and international art. They are a British art institution and a highly-regarded global brand. 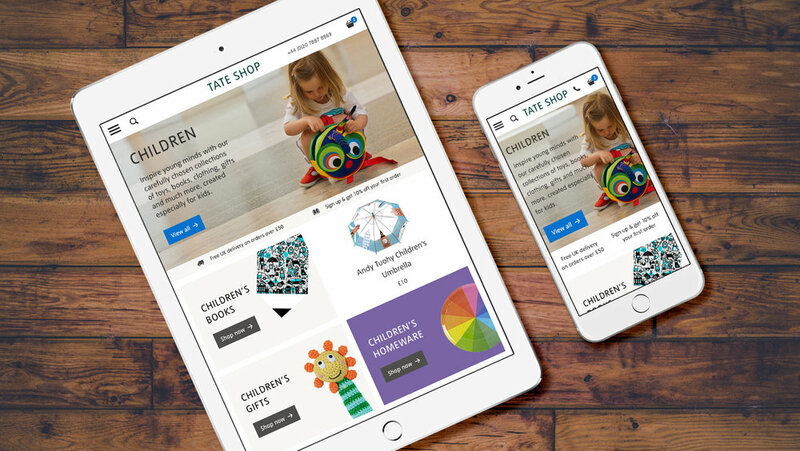 Following a pitch to choose both platform and agency, Blueleaf were appointed to implement an 18-month project to completely redesign and replatform Tate’s ecommerce onto Salesforce Commerce Cloud. The initial challenge was to extend Commerce Cloud’s capabilities to handle non-traditional ecommerce products, i.e. tickets and memberships. For example, a typical dress may be offered in 3 colours and 5 sizes, a total of 15 variants. In comparison, a Tate exhibition may run for 180 days, with 15 time slots per day and 10 ticket types (adult, child, family etc), a total of 27,000 variants! This was solved due to Commerce Cloud’s flexibility which allowed us to employ the standard data model, adopting exhibitions as categories, holding each individual day as a master product. 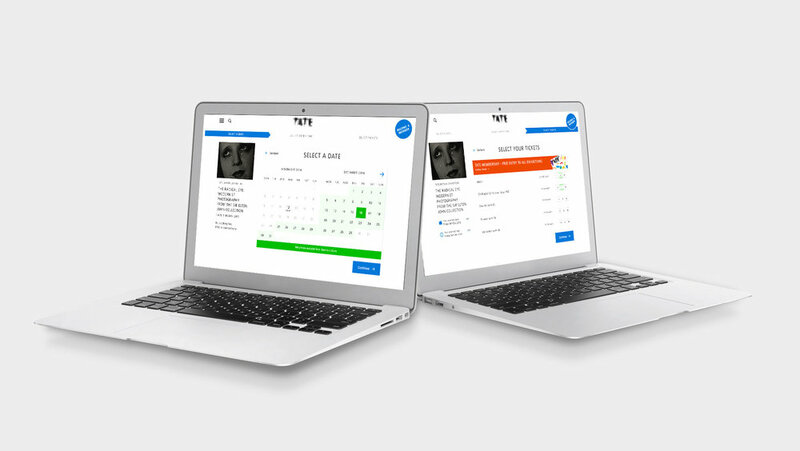 Bespoke middleware was also created and housed in Tate’s Microsoft Azure cloud platform, to connect their ticketing system Enta to Commerce Cloud. We also needed to design a slick purchase flow for tickets and memberships, making it as easy as possible for users to buy them on any device. 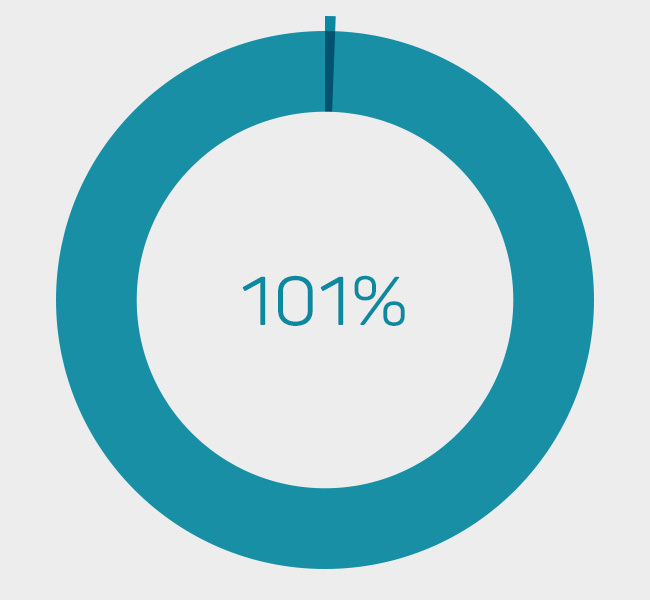 These flows needed to allow expected functionality such as picking a date, time, ticket type etc, but also encourage upsells from the ticket flow to the membership flow where one of the benefits is free entry to all exhibitions. We also needed to design a slick purchase flow for tickets and memberships, making it as easy as possible for users to buy them on any device. These flows needed to allow expected functionality such as picking a date, time, ticket type etc, but also encourage upsells from the ticket flow to the membership flow where one of the benefits is free entry to all exhibitions. We also needed to greatly improve Gift Aid opt-in on ticket and membership sales, a significant extra revenue stream for Tate. Blueleaf’s full UX process was employed, including creating customer journeys, user stories, design and usability testing in a lab to ensure the effectiveness of our solutions. This resulted in a completely custom front end being built for Commerce Cloud. Building on Project 1, our next programme of work was to bring eticketing to Tate and to their Commerce Cloud website. Tate were still printing and posting exhibition tickets, a very time consuming and costly process. They were also unable to scan tickets at point of entry, meaning that they were missing out on some very useful data. Additionally, there were issues around fraud, with printed tickets easy to reproduce. This project also included providing members with an electronic version of their annual pass card. 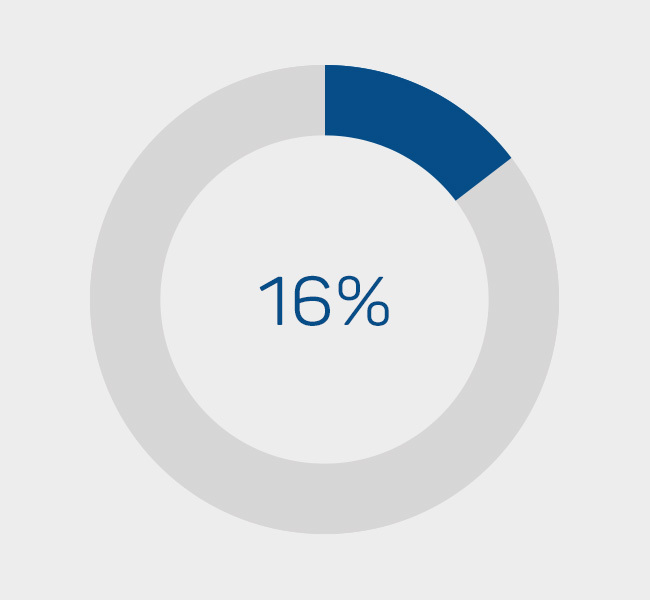 We began by reviewing the ticket and membership purchase flows to ensure that the new e-delivery method was clearly communicated and to assess the impact on delivery options, especially for membership where a physical card and pack is delivered alongside an electronic version. 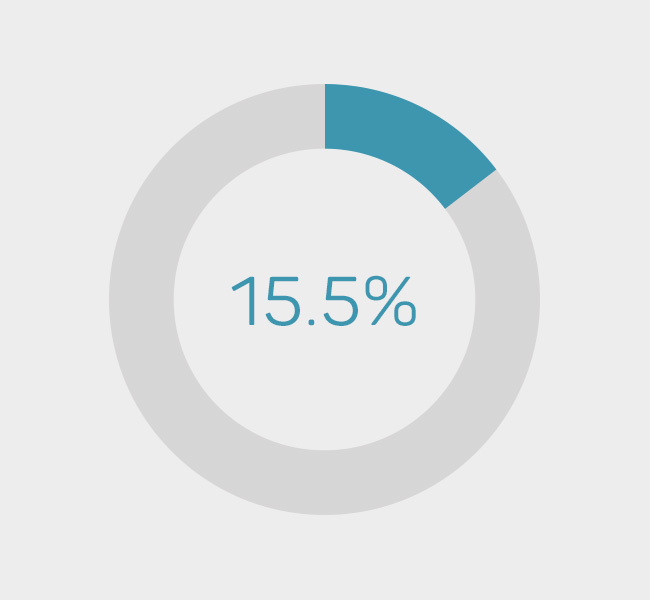 This carried through into the design of fulfilment emails, with PDF etickets and also wallet passes for Apple and Android devices, requiring changes to our bespoke middleware. A retrieval mechanism for lost tickets was also implemented, reducing calls to customer services. This project resulted in a much slicker ticket and membership buying journey for customers, saved Tate a huge amount of time and money fulfilling orders and has also provided them with very valuable data regarding gallery visits. The final project of our Tate programme was to redesign and replatform their Venda shop site onto Commerce Cloud and then consolidate it with the tickets and membership sites built in projects 1 and 2. We ran a full UX process again (including usability testing) on the Tate Shop, to design a great front end that makes it easy for customers to seamlessly buy a diverse mix of products including standard products (e.g. mugs, t-shirts, books), custom prints, tickets and memberships, all via a single basket and checkout. On the tech side of things, we innovated the Einstein recommendations engine to avoid recommending different timeslots of the same exhibition, for example. Our bespoke middleware was extended again to include Trilogy, Tate’s shop product ERP. We also extended the Customer Service Centre to add basic order management functionality, empowering their customer services team. Finally, we worked closely with Tate’s kiosk provider to enable chip and PIN payments in the galleries, with the experience powered by our Commerce Cloud site. Project 3 brought together all the work done previously and offered Tate’s customers a seamless, unified experience across tickets, membership and shop products. Do you want to progress your digital commerce?